HP Officejet Pro 8610 is an all-in-one printer powerful for home and office. This post will show you how to download or update the printer driver for HP Officejet Pro 8610 printers in Windows 10/8/7/XP/Vista. If you find that your printer is not working properly, for instance, you see certain error when printing, the printer’s status is off, or the printer is not working at all, you should update your printer driver to solve the issues. 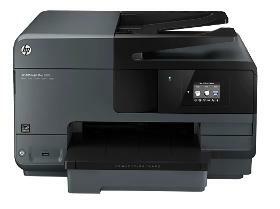 You can download and install the HP Officejet Pro 8610 driver from the HP website. Before you go, you should know clearly your HP printer model and your computer system information. 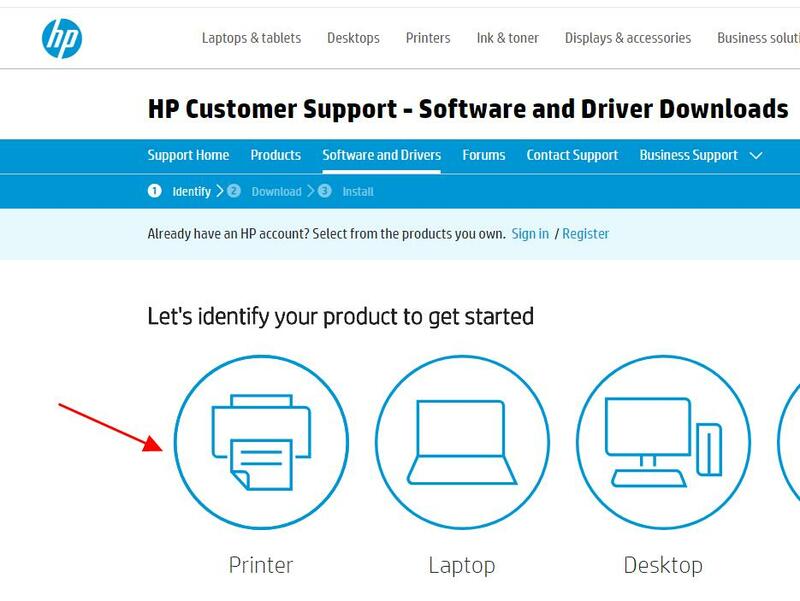 1) Go to HP Software and Drivers center, then click Printer. 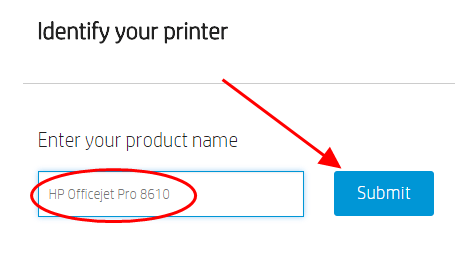 2) Type your HP printer model (it should be HP Officejet pro 8610) in the search box, and click Submit. 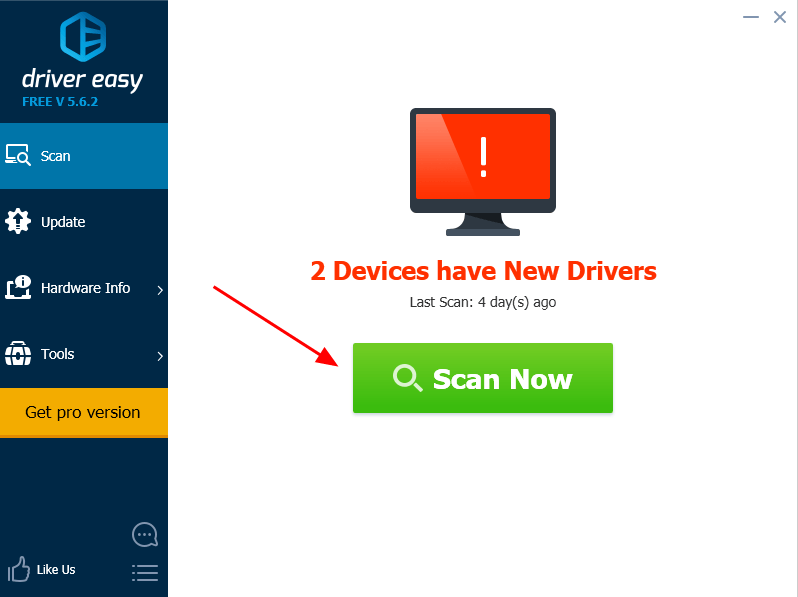 3) Check and make sure the detected OS is correct, and download the latest version of the driver file. 4) Exact the file if needed, and run the setup file to install. This requires time and computer skills. If you don’t have time or patience, you can try method 2 to automatically download and install drivers. 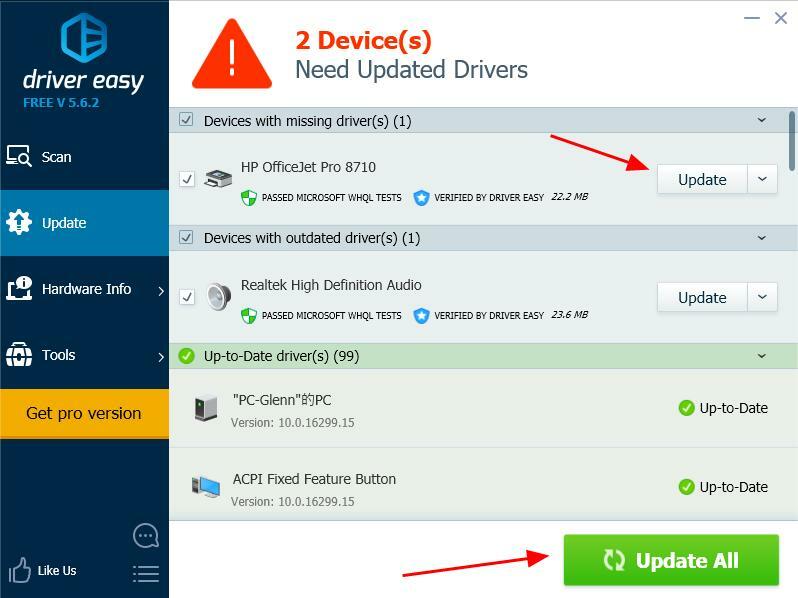 You can download and update the driver for HP Officejet Pro 8610 printer automatically with Driver Easy. 1) Download and install Drive Easy. 3) Click the Update button next to the flagged printer driver to automatically download the correct version the this driver (you can do this with the FREE version). 4) Restart your computer to make it take effect. This is rather easy to update your printer driver, right? You can also download and install the HP Officejet Pro 8610 driver in Device Manager. Note: the screenshots below come from Windows 10, but the fixes also work on Windows 8 and Windows 7. 2) Double click Printers to expand it. 3) Right click on your Printer (it can be displayed as Unknown device), and select Update driver. 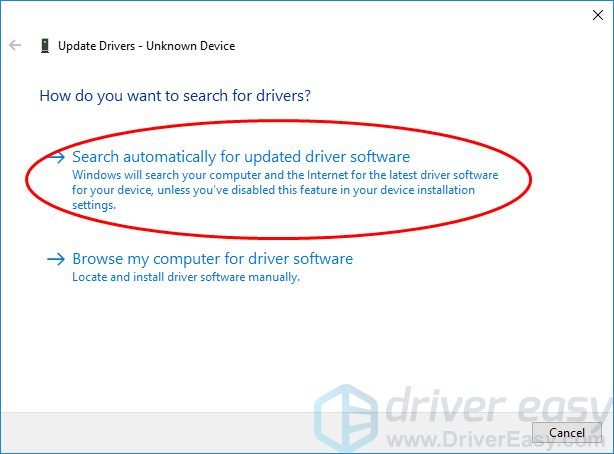 4) Choose Search automatically for updated driver software. 5) Then Windows will start to help search the new driver for your printer. 6) After updating, restart your computer. That’s it – download and install the HP Officejet Pro 8610 driver for Windows. Feel free to add a comment below if you have any questions.